Your credit score might be the most important number in your life. It can have more power than your age, your home address, or even your income. A great credit score opens up financial opportunities—like being able to afford new house or car—that aren’t as widely available to those with not-so-great scores. It’s a fact of modern life. Of course, if you have a particularly poor credit score, it might feel less like a fact and more like a cruel joke. Your credit scores don’t just magically appear out of nowhere. They’re based on the information in your credit reports, which are compiled by the three major credit bureaus—Experian, TransUnion, and Equifax—and contain data on how much money you’ve borrowed, whether you make your payments on-time, etc. The best way to explain credit scores is that they’re like a letter grade on your credit report: Just like getting an A is an easy way to tell if you did well on your math test, having a credit score of 780 is a fast way for lenders to see that, yup, you have a great history of using credit responsibly. If have a credit score of 720 or above, congrats! You have great credit! A credit score in this range is what everyone should be striving for. These scores mean that you make your payments on time, that you don’t max out your credit cards—it might even mean that you don’t carry any balance on your cards from month to month—and it also means that your debt load is manageable compared to your income. While having a credit score of 720 might not entitle you to very best interest rates—those are usually reserved for people with scores 760 or higher—it still means that you will be saving thousands of dollars in interest. Plus, a score in this range will likely mean additional credit card rewards and perks. If have a credit score between 680 and 719 you have good credit. There is nothing wrong with having a score in this range. Sure, you should definitely strive to improve your credit score—higher is always better—but by no means should you be freaking out about your score. It’s still above average. A score in this range probably means that your credit history isn’t quite as long, or that there were one or two bills you had forgotten to pay. It could mean that your credit card balances are kind of high, or that you’re still dealing with some student loans. People with scores in this range might be seen as a riskier bet, but they’re still likely to be approved for a personal loan. And no matter what kind of loan they’re taking out, their rates are going to be higher than people who have great credit. Not super high, mind you, but these folks are definitely paying a bit extra to borrow money. If have a credit score between 630 and 679, you have fair credit. Here is where things can start getting kind of dicey. Having a score in this range means that you probably have too much debt or more than a few late payments. You might even have a collection notice or two against you. It means you might not qualify for some unsecured personal loans—especially ones from a traditional lender—and that you will have to pay a substantially higher rate for a mortgage, auto loan or credit card. While people with fair credit can still qualify for most kinds of loans—especially secured loans—this is the point at which the cost of borrowing really starts to add up. Trying to pay down your debt, taking care of your overdue accounts, and getting better about making payments on time are all good places to start if you’re looking to improve your score. McDonough says that you should obtain a free copy of your credit report—available per federal law at AnnualCreditReport.com–and that you should dispute any and all errors you find on the report. Review the current balances and terms to make sure that they are correct. If have a credit score between 550 and 629, you have subprime credit. Okay, here is where things start getting really dicey. Folks with credit scores in this range are going to find themselves pretty much shut out from traditional lenders like banks. They are going to have a narrow range of lenders that they can borrow from, and might even find their ability to get hired or get an apartment affected by their credit woes. If you have a score in this range, it’s likely that you have a history of late payments, have been sent to collections on one or more accounts, and have a debt load that is much too large for how much money you make. Whatever the reason, you should meet with a certified credit counselor to go over your finances; they can help with budgeting, establishing better money habits, and maybe even managing your debt through a debt management plan. People with a href=”/payday-news/” itemprop=”relatedLink”>subprime credit scores are seen as a pretty risky bet to lend money to. And it makes sense why. Their credit score indicates that they haven’t been great about paying back lenders in the past. But while the higher interest rates lenders charge these borrowers are understandable, the predatory lending practices that many of them use are not. Having a credit score in this range means you are going to be a target for predatory lenders offering products like dangerous payday and title loans. Make sure you don’t become prey! If have a credit score below 550, you have poor credit. Take a deep breath. It’s going to be okay. Having a credit score in this range is … so it’s not great. In fact, it’s pretty much the opposite of great. But all credit scores are fixable. Even yours. A score in this range is most likely the result of defaulting on past loans, or declaring bankruptcy. You likely have a number of collections notices on your report, or you might have a simply massive amount of debt – especially credit card debt. If you haven’t scheduled a meeting with a certified credit counselor – do it now. With a score under 549, you can kiss a loan from a traditional lender goodbye. Most of the loans you will qualify for will come with extremely high interest rates – which is understandable, given what your credit score says about your borrowing habits. And you likely won’t be able to get a credit card unless it’s secured. Where you want to be careful is in avoiding predatory lenders. With short terms, lump-sum repayments, and a lending strategy focused on high-cost loan rollover, you will want to stay as far away from these lenders as possible. They won’t make your situation any better. They’ll only make it worse. While the letter grades you received in school were often final, your credit score is not. To learn more about how credit scores do and don’t work, check out our conversation with Rod Griffin, Education Director for Experian. You can also read our ebook Credit Workbook: The OppLoans Guide to Understanding Your Credit, Credit Report and Credit Score. 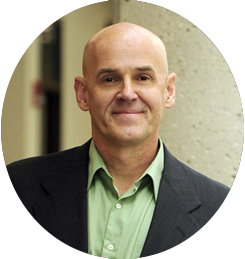 Stephen Lesavich, PhD, JD, is an attorney, credit card expert, award-winning and best-selling author of “The Plastic Effect How Urban Legends Influence the Use and Misuse of Credit Cards”. 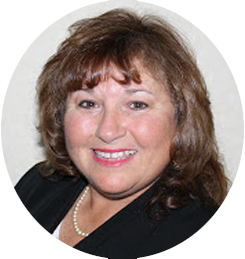 Julie McDonough, has more than 28 years’ experience as a real estate broker, loan broker, and credit consultant. Julie is also the author of How to Make your Credit Score Soar.